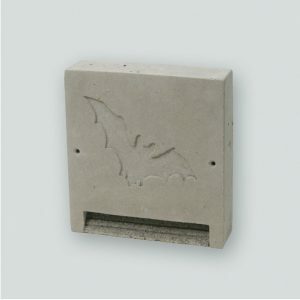 The Wall-Mounted Bat Shelter 2FE can be used as a summer hideaway just as efficiently as a winter roost (e.g. frostproof, damp area in basements, bunkers, vaults, etc). In the summer, among other things, Pipistrelle, Whiskered and Barbastelle Bats hang in this daytime hideaway. 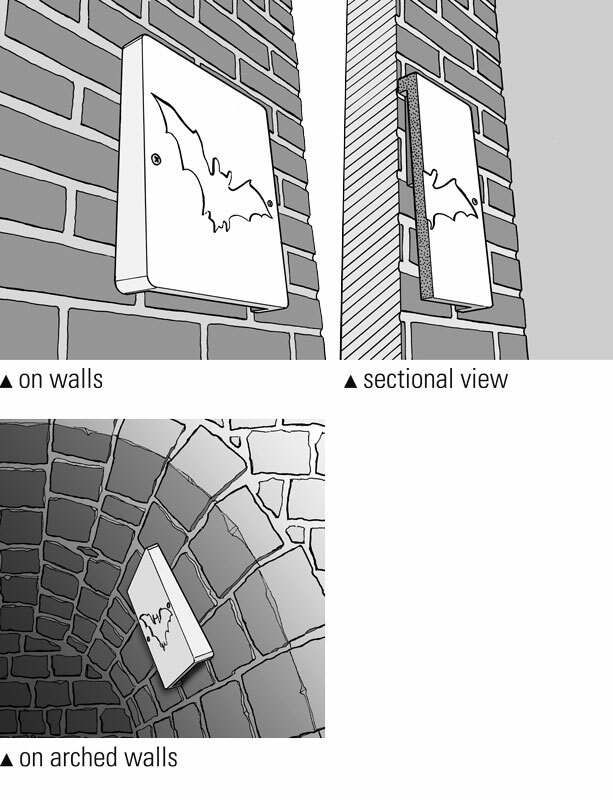 In the winter, all so-called cave hibernators use this Wall-Mounted Bat Shelter as a place to sleep. Thanks to the preformed different clinging levels on the inside a large variety of species is usually present in the shelter. 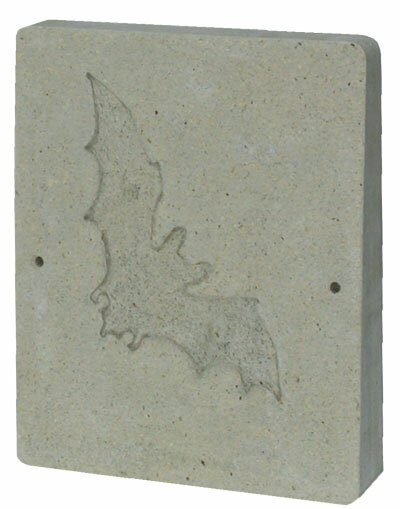 The 2FE is a very effective, simple and cost-effective solution for providing crevice-inhabiting Bats with a place to hide away. 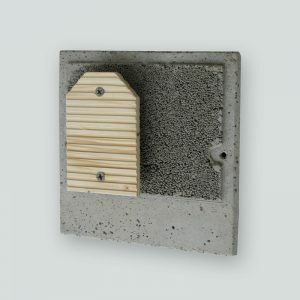 Material: SCHWEGLER wood-concrete, we recommend painting with air-permeable paint when installled on external walls. 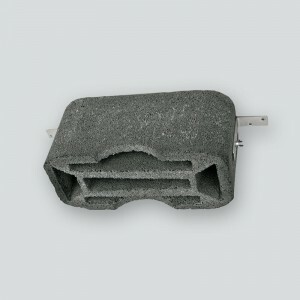 Installation: Installing the 2FE is very easy using just two screws to fix it to a wood, brick, stone or concrete wall. If the wall surface is uneven we recommend sealing the three edges of the 2FE with silicone, foam insulating tape or a similar method. This will ensure it is free from draughts, which is preferred by Bats. 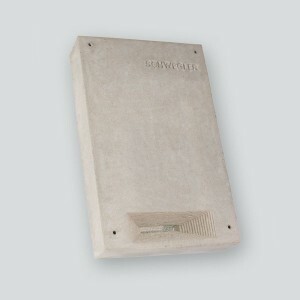 Siting: For using the 2FE as a summer home, mount it on a wall surface facing south or east. For winter use, install it in a location free from ice and frost such as damp cellars, bunkers, bridges or caves. You can also install it in an attic or other unheated room. 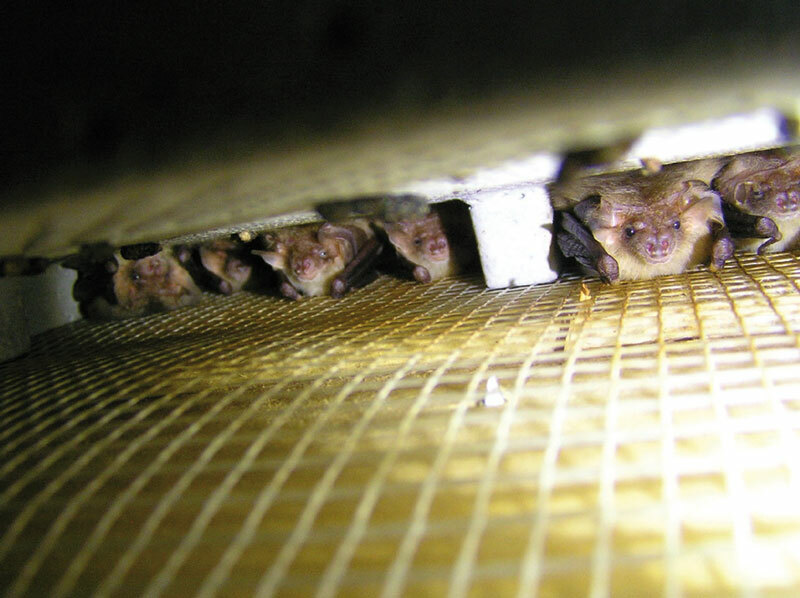 Cleaning and checking: The 2FE is maintenance-free since Bats’ droppings simply fall out. A torch is all you need to check if it is occupied. 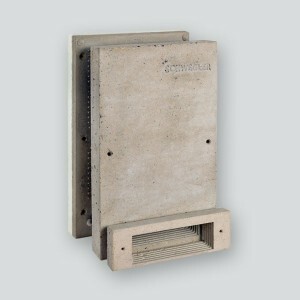 External dimensions: Width 25 cm, height 30 cm, depth 3 to 5 cm. Weight: approx. 2.5 kg each. Items supplied: This Order No. includes 2 pieces of 2FE in one box.